poetry or something of the sort. My first meeting with Ellen Sandell was in 2010, in Cancun. We were both part of the climate youth movement, and attending the Conference of Parties of the UNFCCC. 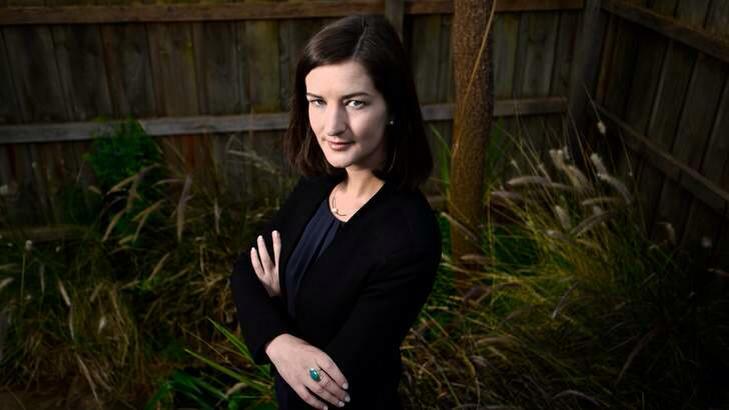 She has come a long way since then to become the state MP for Melbourne, the first ever Greens MP elected to the Victorian lower house. She agreed to speak on her life, how career evolved, and how being a woman in politics has changed her life. Ellen has worked as the CEO of the Australian Youth Climate Coalition, for which she focused on climate work in Australia and overseas. She has also worked as a climate change policy adviser in Victorian Premier John Brumby’s department, and was Environment Officer at the University of Melbourne. In 2009 she was awarded the joint Banksia Award for Young Environmentalist of the Year. These seem the first paving stones of a career creating policy change. Ellen believes growing up close to the nature to have played a role in her choice of work and the motivation for it. “I grew up in a rural area in Australia. Living so close to our biggest river, and with lots of agriculture and nature around me, showed me what a devastating impact climate change is already having on Australia. When I moved to the city (Melbourne) to study in university I learned more about climate change and decided I wanted to do work that helped solve this problem,” she said. Ellen explained that her choice to run for Parliament was a choice to bridge the gap of lack of awareness of climate change among policy makers, and having politicians who are climate conscious. “I worked for a while in the Victorian Government’s climate change policy team but had experiences that showed me our politicians cared more about their political future than our actual future. They changed reports to favour the coal and logging industries and weren’t serious about tackling climate change, so I decided to run a climate change non-profit and ultimately decided we needed people in Parliament that cared about climate change. I put my hand up for election and was fortunate enough to be successful,” she said. Being the first elected from a party that is not the Conservative or the Labour has not made things easy for Ellen. She expressed the time consuming nature of her work which does not differentiate between weekends from working days and learning to be thick-skinned so as to avoid being affected by how others treat her. “It’s a very demanding job, with lots of work during the weekend and evenings. There’s also a lot of scrutiny on you – the way you dress, the way you do your hair, what you sounds like. It’s made harder by the fact I was the first Green elected so the old parties are quite harsh on us because we’re challenging the status quo,” she expressed. She also added, “There is a lot of bullying in Parliament which is hard, so you have to have a thick skin!”. She also stressed the need for the support of her family and friends in order to achieve success. She believes that one needs a lot of family and friend support to be successful. She also commented that the world of politics is mainly male dominated. For Ellen, balancing one’s personal and professional lives is highly important in order to be successful. “We must balance our personal and professional lives or we would all go insane with stress and pressure!” she stated. “It’s not something that you can easily balance with a normal life, It isn’t a 9am to 5pm job. But we need more women in politics, and when we do I hope we’ll be able to change things for the better,” she highlighted.